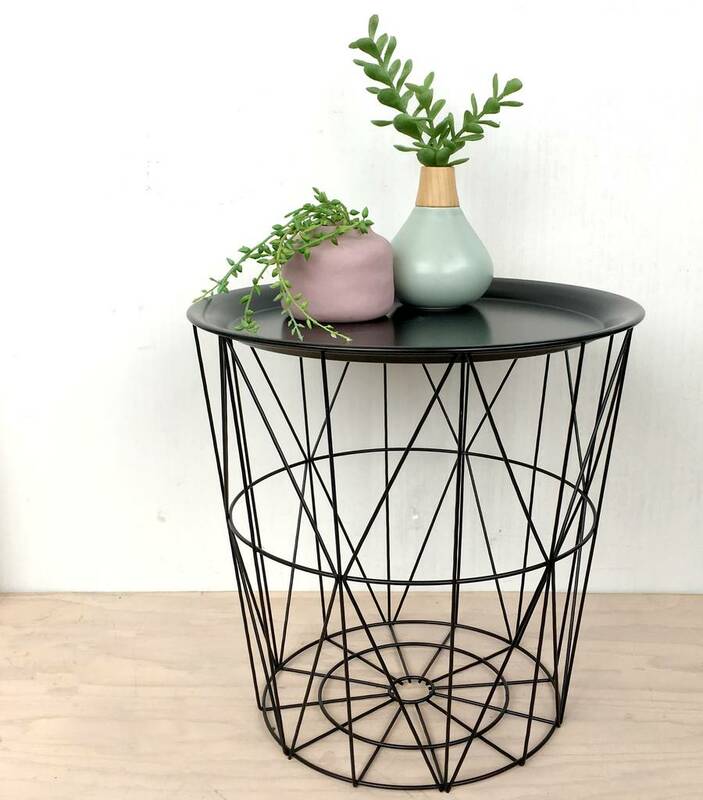 A stylish black metal side table with removable tray and storage space. This multi functional side table is a must have. 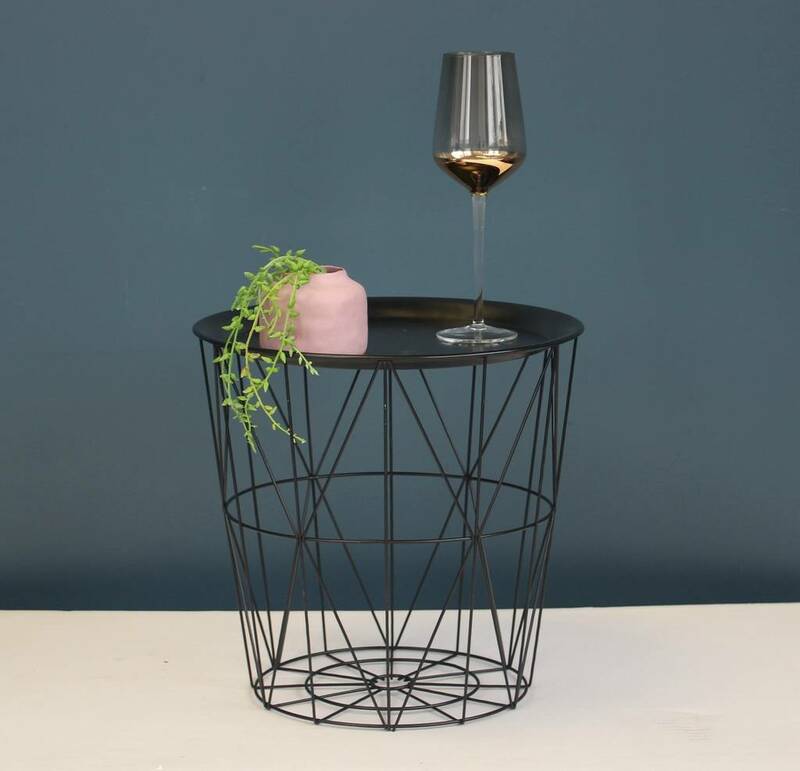 The table top is a removable metal tray which is ideal when entertaining and carrying drinks and snacks from room to room. This also makes the inside of the frame suitable as a handy storage space for magazines, throws or whatever you fancy. 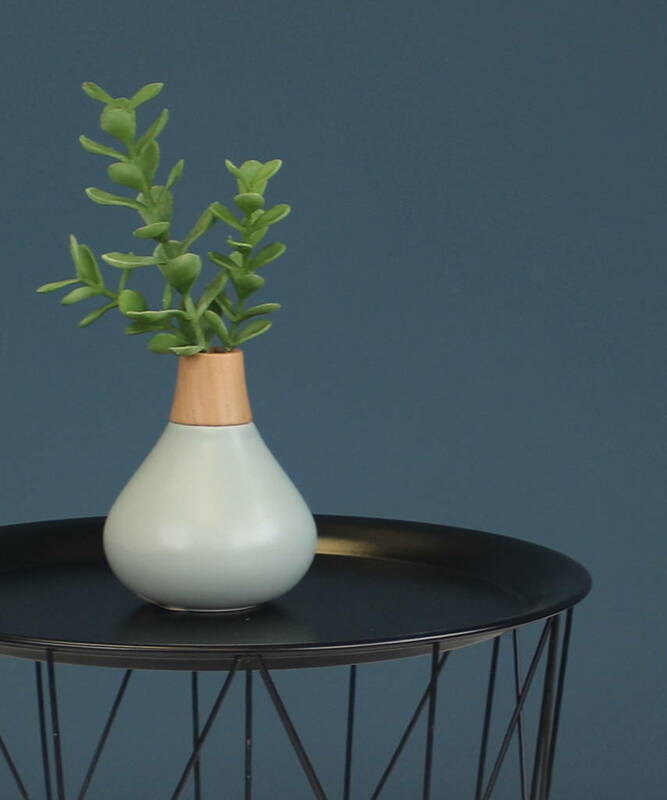 Its modest size makes it suitable for any living space and black colour would fit any colour scheme. The perfect living space addition.